Matt Dorame comes to us from Phoenix, Arizona. At an early age, he traveled and toured with the Los Angeles Classical Ballet to China, and later with West Coast Dance Explosion and Co Dance as a featured assistant. Matt has trained at many prestigious summer institutions including American Ballet Theater and Boston Ballet. Some of Matt's most notable credits include featured dancer on MTV's American Mall, lead dancer in the Shawn Borrow music video "Army of Kings", and top 13 contestant on FOX's So You Think You Can Dance. 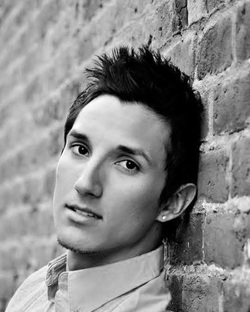 Matt has also worked to assist SYTYCD choreographers Mia Micheals, Tyce Diorio, and Dee Caspary. While living in New York Matt danced with the renowned Cedar Lake Contemporary Ballet. Matt also got to perform on broadway with the Radio City Rockettes in The Christmas Spectacular, and off broadway with iLuminate in Artist of Lights.